Capture the taste of summer with the sweet, refreshing flavor of Fox's passion fruit snow cone syrup! The delightful flavor of the syrup combined with the icy texture of the snow cone creates an irresistible frozen summer treat that your customers will love. A corporation specializing in irresistible ice cream toppings, sweet syrups, and fizzy soda mixes for over 100 years, H. Fox & Company takes great pride in their products. Snow cones are the perfect treat to help all of your patrons beat the heat. 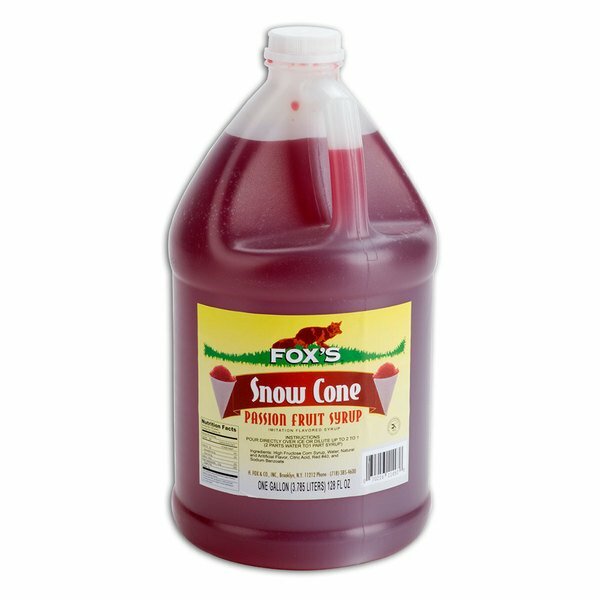 Featuring an exotic passion fruit flavor, and a visually appealing, vibrant pink color, this snow cone syrup can be used to enhance the menu at any concession stand, fair, or ice cream shop. 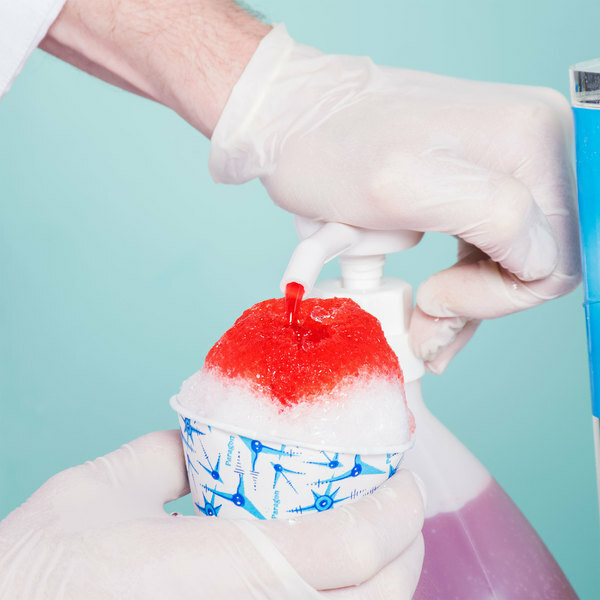 With 96 servings of snow cone syrup per container, your business will be in good supply. Each gallon of snow cone syrup is made with the finest ingredients to create the most authentic mouth-watering flavors. The passion fruit syrup was amazing. Kids and adults both loved it and came back for extra syrup. Better than other brands we've tried. Would recommend to anybody. Had an incident with our first bottle but the company reshipped which was amazing. one of our most popular and most requested flavors. I love it and so do our customers. I would recommend this flavor and product to anyone. Great for snow cones or for flavor in mixed drinks. One to Two squirts is all thats needed. Also makes an incredible passion fruit cream soda. This is one of our favorites so far. This is excellent syrup for the price, can't find it cheaper and it tastes great in some frozen ice. We will continue to order here and look for new flavors as well. This is not a very good syrup. It had virtually no taste at all. I thought that since it was sold out before, it was a good product. My customers say that it tastes a little medicinal, like a sweet cough syrup. I will talk to the company for a refund. Thank you for your review! We are sorry this product was defective, your account has been credited! Passion fruit is a wonderful flavor and makes especially good snow cones. This one is good as is but also tasty with a small dash of vanilla syrup.